We’re Back on a New Server!! Well, I’m back. It was really scary there for a bit, but I’m back online with my new host, as you can see by this news item. It’s actually a copy of something I wrote for next issue of my newsletter, so that’s why some of it talks about the newsletter. First off, I wanted to say that this issue was actually prepped on Friday May 21st, but that was the same day I found out about my hosting problems, so I shelved it – I decided it wasn’t worth risking being totally shut off to deliver an issue of the newsletter – it’s the same reason the newsletter hasn’t been delivered in a month or so now. So the issue you’re reading now is as it was prepped on Friday May 21st, except for this message from me. I still have a handful of submissions that came in after the 21st which I will include in the next issue. 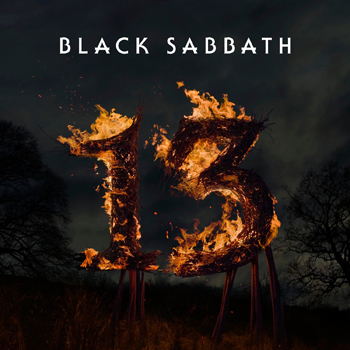 Additionally, I’ve now changed the name of the mailing list from “Black Sabbath Mailing List” to “Pilgrims of Sabbocracy” – I’ve put that at the top of the list before, but I’ve changed the subjects of the list – they used to be “Black Sabbath #xxxx” – now it’s “Pilgrims of Sabbocracy #xxxx”. If you are using mail filters on the list, you’ll need to change them. Additionally, I’ve upgraded to the newest version of the mailing list software at the same time, and it changed a bit what gets sent out on the list. That text at the top about info is hard coded – I can’t remove it (yet), and there’s much more detailed information at the bottom of the issue about how to unsubscribe, what email you’re signed up with, etc, it should make it easier to understand how to unsubscribe. Now, onto the website… On Friday the 21st of May, my old host essentially told me to take a hike. It was far more polite than that, and they did send me a few msgs saying they didn’t want to just cut me loose, which is why there was a site at all the last few weeks. My old host basically allowed a 5Gb transfer limit per month. Over the last three months, I’ve been doing 85Gb a month as a peak (with the release of Black Box & the Ozzfest announcement) – but I averaged about 50-60Gb a month before that spike; that’s still 10 times over their limit. They’ve let me slide for awhile – I’ve known I’ve been way the hell over their limit, so I’m grateful for them for allowing me so much bandwidth overage without booting me or charging (!) me. So I started looking into other options, and my level of traffic is very high, so that pretty much put me out of all the shared account web hosting options out there. I had to go with a dedicated server. The problem is that dedicated servers can run HUNDREDS of dollars a month, and where I am with my life, I simply CANNOT afford to pay for that. Just bought a new truck, and the wife and I have been talking about having a kid, so there’s no way I can lay out the money myself to pay for a dedicated server. I had to have help. My first thought was to use the site itself to sustain it. Problem with that is that it would require turning the site into a moneymaker, which is something I’m sure I could do – it’s certainly popular enough – in the month of May I had 1.5 Million page views and about 13.4 million hits. So yeah, the possibility of using the site to pay for itself certainly exists. But I didn’t want to do that for two reasons. First there’s far too much of the Internet which is a wasteland of ad banners, popups, and interstitials – I really did NOT want to turn my site into that. I do run ad banners on my site, but they don’t generate revenue, they just link to things I think people would be interested in. I hand pick all the ads that do appear on my site. The second reason I didn’t want to use my site to make money is the fact that I don’t own the intellectual property that my site is based off. 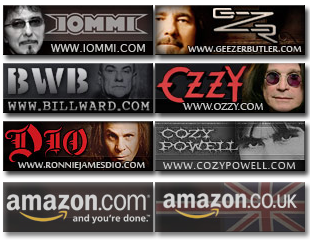 I’ve been lucky in the 9 years I’ve been running the site that the legal owner of “Black Sabbath” (that’s Tony Iommi and his management company, Blue Flame) haven’t told me to stop, or asked me to give them the domain name. If they ever wanted it, I would gladly give ’em the domain name and use something else. But they’ve been kind to me to allow me to continue doing what I’m doing, so I didn’t want to rock the boat so to speak. I then turned to a few business associates who put me in touch with a MAJOR (and I mean U2/Madonna level of stuff) type of web hosting company. They said they’d be willing to host it at no cost to me. In fact, I’d make money personally, since they’d be paying me. That was the problem with that option. They wanted to buy the site from me, own it, and then hire me back to maintain it. That’s all well and good, but the problem with that is that the minute I piss off someone or do something the company doesn’t like, they can tell me to take a hike, and they’d own everything. There’s NO WAY I wanted that kind of option – in fact, I told the guy I talked to “I’d rather let it die before I did something like that”. I really never thought I’d hear myself say that, but I really would rather take the site down before I had to sell it to someone else and have no control. What makes this site work for me personally is the fact that I’ve built it up since I started it in mid 1995 somewhere (I forget exactly when I did that). Over the years, it’s been me that’s dictated when things get updated, when news reports get done, etc.. It really is a labor of love, and the minute I turn it into something that I am paid for, or is moneymaker, the entire dynamic changes, and it would become something I HAVE to do, not something I WANT to do, which is a huge deal to me. So yeah, I’d rather let it die before I do that. That pretty much ended my talks with the hosting company – and given the kind of discussion I had with that guy, I kind of put the idea of a hosting company hosting it for free via ad supported stuff or a similar arrangement out of my head. So with those options out, I had to figure out how to pay for it, which my mind first turned to contributions from users. I considered this for a bit, but user contributions aren’t a good option, as it’s not reliable income. The problem is that the web hosting cost is a regular monthly fee, and I could NOT rely on variable income to sustain it. I’m always open to contributions if you want to help, but I really didn’t want to turn the site into a pay site, so that wasn’t thought about too much, although it would have been cool to go with “A Fan Supported Fan Site” motto – it just wasn’t realistic from a financial model. if it wasn’t for them. So that’s where we are. The fiasco of the last month is over. The site is back on it’s new host. As I prep this, according to my activity logs on the old server, just about everyone is seeing the site on the new server. If however, you aren’t (you’ll know – there’s messages saying “This is the old server” and “This is the new server”), give it a day or two, the DNS change hasn’t reached your ISP’s servers. Not everything is working right on the website yet, I haven’t restored the database with the mailing list archives – but most everything else is up and running again – the polls, the ads, and the mailing list. So thanks once more to my secret benefactor, and don’t forget – Ozzfest 2004 is coming up. If you have ticket stubs, or newspaper adverts, I’d like to see them. If you don’t want it for yourself, I wouldn’t mind getting the section of your newspaper with the advert. You can email me to get info on how to send me that stuff.